This vendor is the most popular in the category with 35 reviews across 10 countries. Integrated Revenue Pacing and Sales Productivity Tracking for Hospitality! 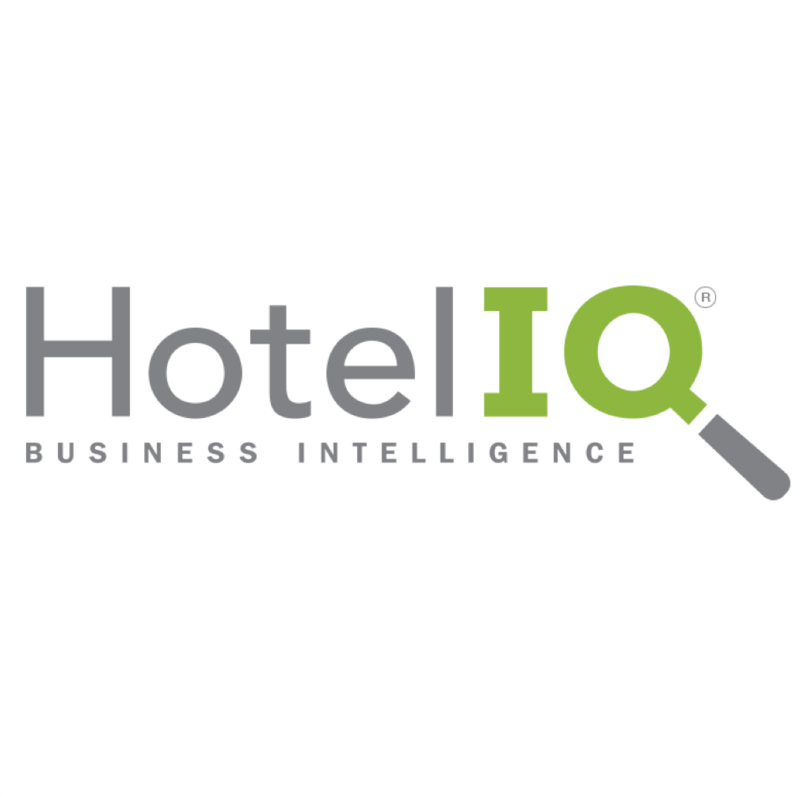 As providers of the leading Business Intelligence (BI) and Analytics platform for the hospitality industry (HotelIQ), at Intelligent Hospitality we’re often asked to replicate existing reports that hotels produce manually. The thinking behind such a request is understandable: “My hotel spends X hours producing reports at regular intervals (usually daily, weekly, or monthly). We like these reports. If they can be automated by a tool, that would save us a lot of time.” While on the surface, that logic is reasonable, it completely misses the advantages of analytics solutions. More importantly, it highlights a big gap in our thinking and approach towards analytics in the hotel industry. If you are making the decision to move on to more sophisticated technology, it is important to understand and leverage all its benefits. Not just to get a substantial ROI out of it, but to be able to compete in today’s market. My grandfather loved his typewriter and never used a computer. According to him the only reason to switch from a typewriter to a computer would be to get clearer print. A computer was too expensive to do just that, so he never bought one. We all understand today (hopefully) that the ability to type and print is the least of a computer’s capabilities. We look for speed, memory, connectivity, and overall computing power when we are in the market for a computer. In fact, it is inconceivable that someone could survive in today’s job market without basic know-how about computers. Similarly, with the information era in full swing, hoteliers who don’t “get” analytics solutions won’t be able to compete in a market full of data-savvy OTAs and rental alternatives like Airbnb. These new players have already mastered data analytics; They live and die by it. If you still think it’s “just reporting”, I have taken up too much of your time already. This article is intended as a starting point for those hoteliers who want to take a more analytical approach to their business. If you’re still reading, I promise this will be more fun than it sounds. However, just to test your commitment, I will start with something dry… Definitions Here is how Adobe defines Reporting and Analytics respectively: Reporting is “the process of organizing data into informational summaries in order to monitor how different areas of a business are performing.” Analytics is “the process of exploring data and reports in order to extract meaningful insights, which can be used to better understand and improve business performance.” You don’t have to memorize these definitions. Just remember one thing - reporting is “monitoring” while analytics is “exploring”. When we run day to day meetings using templatized reports, we condition ourselves to look for and monitor specific cells/fields – day after day, week after week, month after month. We only react when we see a significant fluctuation in those values, and even then, we must wait for an analyst to go and get us the answer to our next question. It’s a slow and reactive process. Yet, it’s familiar and comfortable. Analytics on the other hand, is driven by curiosity, competitive drive, and a sense of adventure. It gives us multiple views and perspectives by dimensionalizing data. It takes us on a journey of discovery by giving us the ability to answer questions on the go. Thus, it expedites the discovery of opportunities and threats while minimizing surprises. Visualization Looking at familiar designs and layouts makes our eyes dull to minor changes. Hence, we don’t see what we don’t expect to see. Here’s a rose: Can you spot the Dolphin in this rose? What if I told you that there is a dolphin inside the rose? Can you find it? Hint: Take a closer look at the petals. I hope you were able to find it. However, I doubt anyone would have noticed it had I not pointed it out. A wall of numbers in a spreadsheet is no different. You see rows and columns populated with figures. Unless you know what to look for, it’s hard to see it. Spotting the proverbial "dolphin" in this wall of numbers is near impossible Good data visualization should not just be pretty, it should draw your attention to what needs your attention. To be able to do that, you must crunch huge amounts of data, contextualize, compare, and conditionally format. And that’s just the basic stuff you should expect from your BI/Analytics solution. The HotelIQ dashboard draws your eye to critical insights via red dots on the map The above dashboard consolidates a ton of information. It includes data by hotel, by month, and by market segment - actuals, OTB, STLY, Budget, and Forecast. Plus, based on current and historical trends, it also estimates where you are likely to finish against your goals. Yet, it only needs three simple visuals to convey all that information and more. The goal is not to bombard you with information, but to highlight what’s most relevant. Interactivity Looking at the map, you know right away which hotels in which markets need attention. The color and size of the bubbles can change instantly to indicate the risk levels based on various parameters. It becomes even more engaging and meaningful as you easily zoom in, filter, and dissect the underlying cause(s). All this momentum and insight with just a few clicks! In contrast, with a typical report produced manually by the hotels and consolidated at the corporate office, users would either make due with an aggregate figure or painfully (depending on the size and scale of your operation) go over each hotel one at a time. Even when you are looking at a single property there are many dimensions like market segments, profiles, feeder markets, channels, and room types that you have to look into and consider in order to make the right business decisions. And should you have any further questions…like Adobe says, reports are for monitoring, not exploring. That is the fundamental reason why reports don’t translate well into an analytics environment. They are restrictive because they are built using simpler tools with lower technical complexity. When you transpose those reports into an analytics environment they often bring along with them the limitations of their original design. Effort and Opportunity A lot of hotels have Excel junkies on staff who copy & paste data from various sources, run macros, build pivot tables, and go through data gymnastics every day to lay out the information in a manner the GM likes. They love these “spread-marts” because they have birthed them at their hotels. So please forgive me if it sounds like I’m calling your baby ugly. However, no matter how much you master these basic tools, they are no match for the BI tools used by Data Scientists (with degrees in Computer Science and Data Analytics) to design robust analytics solutions. Cooking steak in your backyard is very different than running a commercial kitchen My neighbor can grill a mean steak on the BBQ in his backyard but that doesn’t mean you should trust him to run a commercial kitchen. It’s nothing against steaks, BBQ, or my neighbor. We understand that a trained chef in a professionally equipped kitchen can do a lot more with the same ingredients. A hotelier’s job is to optimize profits at the hotel while ensuring that guests get the best experience possible. The hotel staff should be focused on the achievement of those goals rather than toiling with data for hours – just to create a report. What you get at the end of the day may be familiar but is also probably outdated information and subject to human error. Instead, if the same talent that produces reports focused on discovery and insight using the latest BI and Analytics solutions, you’d go much further. Start Exploring The objective of this article is not to put reports down. In fact, reports are an important part of analytics. But hotels need to elevate their standards towards analytics. Stop asking your BI solutions to give you more of the same. Stop staring at the same rows and columns waiting to see different results. In this age of information, data fuels success. If you want to stay relevant, challenge yourself to go further with data analytics. To help you achieve that, in the coming months I will be taking a more tactical approach to discuss topics related to hotel analytics like improving your hotel’s forecast with the help of analytics, optimizing the performance of hotel sales team with data analytics, and using analytics to run more productive meetings at your hotel. For hotel owners, a positive, productive relationship with hotel managers is central to a hotel’s performance. There can often be a breakdown between hotel managers, who deal directly with front-line staff to navigate day-to-day challenges, and hotel owners, who are not always in-tune with the current state of the business. Since owners often have other corporate entities, or represent entities like Real Estate Investment Trusts, there’s not always enough time in the day to stay up-to-date. Other owners may have little operational expertise within the hospitality industry, which can make communicating succinctly and accurately with hotel managers difficult. In either case, the owner may be perceived by hotel management as out-of-touch or uneducated when it comes to the hotel’s day-to-day operational realities. This disconnect can diminish trust, cause miscommunications, and lead to unrealistic expectations that set the manager up to fail. Management is doing things right; leadership is doing the right things. ~Peter Drucker To combat this disconnect, and foster a relationship built on trust and respect, owners should strive for a thorough and detailed understanding of the business -- a bar that’s incredibly difficult to reach for a non-operational partner. That’s where technology comes into focus. With tools that provide real-time insights through mobile-optimized interfaces, owners can stay connected to the pulse of the hotel from anywhere in the world. This effort to stay informed builds an owner’s operational credibility with their management teams, which models the kind of leadership and engagement owners themselves expect from their management teams. Leveraging technology is not only the most efficient way to stay in touch with the business but it’s also the most reliable route to tackle the most common complaints managers make. By proactively addressing these issues, owners are setting their teams up for success. After all, trust is the defining feature of a fruitful relationship between the hotel manager and ownership. With trust, even conflicts and complaints become opportunities for action and collaboration. Finding common ground gets things done -- and ultimately builds a healthier hotel. “They don’t understand nuances of hotel operations” Common sense says that a hotel owner is either passionate about the business, or at least understands it. However, some hotel general managers feel that hotel owners “don’t get it,” focusing only on short-term performance and a hotel’s bottom line. A savvy GM respects the owner’s own business acumen and thus will communicate everything that the owner needs to know about the business -- and nothing that they don’t. A savvy hotel owner will engage at a deeper level to develop a solid understanding of the management’s challenges and the hotel’s performance. To achieve this nuanced perspective, hotel owners should be familiar with business intelligence software for hotels that tracks performance and offers analysis at a glance. When integrated into a hotel’s operation, BI tools help owners stay current without wasting time trudging through spreadsheets. Another input comes from Revenue Management Systems (RMS), which reveals the “why” behind pricing decisions. So, rather than going on “gut” instinct, the team’s pricing decisions can be rigorously informed by data. Owners can turn to this data for a clear view into the hotel’s revenue profile, using the data as the basis for incisive, probing questions that inspire the team to better performance. Better questions get better answers! Deployed in combination, the RMS/BI toolset makes for more productive meetings with management, builds stronger staff relationships, and aligns managers and ownership around a shared perspective on performance -- with minimal time investment for owners “They don’t invest in technology or aren’t digitally savvy” Owning a hotel doesn't necessarily require extensive operational expertise, which is why building owners often outsource management to third-parties. This is especially true in the case of Real Estate Investment Trusts or owners with businesses outside of hospitality. Owners rely on the expertise of management companies to deliver reliable profitability and consistent returns on the asset. Even so, owners should stay engaged with the business and build trust with their lieutenants by introducing new tech products to their teams. With the information provided by these tools, owners can ask engaging questions about both the business and the problems solved by these technologies. With this lightly hands-on approach, owners build trust with managers without micromanaging and demonstrate a healthy understanding of trends in both the business and the broader industry. Hotel owners have a few levers to show their digital savviness. First, ensure that the team has the tools necessary to run a cutting-edge, modern hotel that guests expect. Guest rooms should feature solid entertainment options and potentially guest room automation. The hotel should consider a guest messaging platform to reach guests in the channels they prefer, including chatbots, which not only makes guests happier but also makes staff more productive. Digital marketing agencies can be powerful allies for hotel owners, offering expert opinions on performance that can inform how an owner approaches marketing discussions with their team. Other technologies for the tech-savvy owner to consider include metasearch management software, website optimization, hotel CRM, upsell software and on-demand staffing platforms that tap into the booming gig economy. During meetings with the hotel’s team, owners should propose relevant new technologies to solve the problems that the team mentions -- and that the owner identifies from the hotel’s business intelligence tools, review and reputation management software, and revenue management platform. “They don’t invest in my staff or understand how hard we work” Empathy for a hotel manager’s work is an owner’s greatest asset. Hotel managers have a tough position as liaison between hotel ownership and staff, as they must simultaneously motivate staff and fulfill owner expectations. An owner must help the manager navigate this terrain and proactively solve staffing issues. For example, when hotel staff feels overworked, or not heard by hotel management, they may begin looking for work elsewhere. Also, under-investment in staff training may lead career-oriented employees to leave the hotel in pursuit of more supportive professional opportunities. These negative perceptions affect the hotel’s ability to hire and retain workers, which may trickle down to the guest experience -- a huge issue for owners. “With owner expectations of a high-profit margin and keeping variable expenses low, we run very lean operations these days. It’s hard to find good, customer-centric employees who are willing to work for pennies over the minimum wage. It’s hard to be as customer-focused as you want to be with a skeleton crew.” -Amanda Singer, former hotel trainer for IHG Thankfully for hotel owners, maintaining profitability doesn't necessarily mean placing limits on staff investments. There are several categories of technologies that provide outsized impact relative to the investment (high ROI). First off, implementing an Applicant Tracking System for hotels helps management be more productive in their rolling hiring efforts. A hotel thrives with great staff, and an organized process for inbound applications encourages quality candidates. Once quality candidates are hired, it’s all about loyalty and engagement. It takes a lot of time and money to find good people, so it’s worthwhile to invest in loyalty. First, offer a mobile-optimized scheduling solution for hotels that empowers staff with more control over switching shifts. Next, encourage collaboration and accountability to foster an “owner’s mindset” with both a hotel task management and collaboration tool and modern housekeeping software. Each of these tools gives an owner instant access to the pulse of the business through real-time reports and analytics. Finally, maintain the momentum with hotel employee engagement software. With these mobile-optimized tools, staff stay aligned and feel heard and happy at work. For the hotel owner that really wants to recognize a hard-working staff, check the hotel’s reputation management software at regular intervals to highlight exceptional experiences and reward staff for exceeding guest expectations. *** Relationships are built on trust. And when it comes to hotel owners and general managers, that trust is forged through proven performance. Owners appreciate managers that focus on performance, share wins, and showcase staff. Owners must also provide the tools management needs to achieve that outsized performance. It's a delicate balance that both sides must calibrate to keep a hotel profitable in the near-term and competitive in the long-term. While in high school, I traveled with my family to San Jose Del Cabo, Mexico. It was my first time south of the border, and though it had been over a year since I completed my last Spanish class, I was excited to have the opportunity to show off my dual language skills. My first opportunity came shortly after we arrived in town when we stopped at the supermercado to pick up some groceries for the upcoming week. As I walked through a crowded aisle, I came across a young couple scanning the shelves with their cart blocking the way. Ever the diligent cultural ambassador, I gave them a warm smile and indicated I’d like to move by with a polite “escúchame.” Rather than part the way, they looked back at me with an odd expression. Unable to navigate around them, I reversed direction and headed back down the aisle the way from which I’d came. As I made my way through the rest of the store, this experience repeated itself several times—each polite “escúchame” met by a confused look and lack of movement. Frustrated, I relayed this experience to my older sister as we checked out and left the store. She had previously spent several months in Mexico and was intimately familiar with their customs and cultural norms, in addition to being fluent in Spanish. “Did they see me as an impatient American rudely cutting my way through everyone?” I asked. “Or perhaps my accent was too thick?” Struggling to contain her laughter, Jess kindly informed me that “escúchame” was not a request to squeeze by, but rather an order to “listen to me.” With a sheepish smile, I realized that although I’d been operating under the assumption that I was speaking the same language as those I’d encountered at the supermercado, I’d conveyed something altogether different than what I had intended. Years later, as a greenhorn Director of Revenue Management, I had a similar experience during my first annual budget meeting. As I laid out my strategies for the upcoming year and the tools I’d need to achieve our projected growth, I worked to articulate the benefits of the investments I was asking our owners to make. “This revenue management system will reduce the amount of time needed to update rates,” I stated, “freeing me up to spend more time analyzing the big picture.” With an odd look on their faces, our asset managers nodded their heads in an indication of agreement. However, several weeks later, I discovered my suggested investments in technology had died on the proverbial budget chopping block. As I reflected back on how our owners could have possibly missed seeing how my ideas would benefit our hotel, I realized that I’d once again failed to communicate in the language of my intended audience. If I’d spent a little more time gaining fluency in their language, I’d have more effectively sold my priorities and obtained a commitment to invest from our owners as part of the budgeting process. KEYS TO IMPROVING BUDGET OUTCOMES LEARNING THE LANGUAGE When pitching investment ideas to owners as part of the budgeting process, it is important to understand the ways in which they make money through their participation in hospitality assets. 1. Operational Income Operational income is the wealth creating mechanism with which hotel managers are most familiar. Any time a hotel charges a guest more for their room than they incur in costs to support the sale of that room, it generates income for the owners. As a rule of thumb, each dollar in revenue generated results in some portion of that dollar being recorded as Earnings Before Interest, Taxes, Depreciation, and Amortization (EBITDA) on a hotel’s income statement. 2. Equity Paydown Similar to the paydown of the mortgage on a single-family home, hotel owners build equity by paying down their note. Ideally cash flow from operations will cover any financing costs so that the owners of a hotel will not need to budget for additional financial resources to pay down the mortgage. 3. Asset Appreciation Hotel owners also make money via the appreciation of their assets, which can take place via inflation, repositioning, and/or operational improvements. Given that hotel assets generally run a high gross profit margin, increases in revenue often have a much more substantial impact than refining the hotel’s expense model. UNDERSTANDING NUANCES There are a number of ways that hotel owners can be categorized. Examples of hotel owner categories include private equity funds, high net worth individuals, pension fund investment funds, and real estate investment trusts (REITs). Targeted objectives will vary considerably based on the type of organization involved. For example, private equity investors such as Blackstone often approach hotel investment by buying underperforming assets (either large hotels or entire branded portfolios) and improving operations before selling the asset at a market premium or unwinding their position via public offerings (IPOs). On the flip side, REITS may take a longer-term view when purchasing assets; buying assets with a lower risk profile in order to benefit from stable cash flows and the long-term potential for appreciation. Economic cycles often also have a significant impact on the way in which hotel owners view investments. For example, when capital is cheap and hotels are trading at bargain levels, owners may prefer to invest in new assets rather than deploying their cash to improve the operations of existing hotels. Conversely, as interest rates rise and/or hotel asset values skyrocket, owners often prefer to generate returns through improvement of their current assets as it becomes increasingly more difficult to purchase new properties at compelling values. Taking the time to fully grasp the incentives of your owner(s) will allow you to better understand the way they consider additional investments in technology, FF&E, or property enhancements. This understanding will allow you to ensure that you are pursuing the right investment strategies, thus making it easier to gain approval for future expenditures. CONVERSING FLUENTLY Once you have a strong understanding of the priorities of your owners, it is important to calculate the financial impact of any recommended investments in relation to any competing opportunities. Focal has created a detailed investment calculator to assist in your budgeting process. By walking through the steps that follow, you will be able to calculate the financial impact of new investments and convey them in a language your owners understand. 1. Determine Available Options Start by listing out all strategies for the upcoming year and the resources you will need to execute them. Perhaps you plan to renovate your suites in order to drive room type upsells. Or, perhaps you plan to deploy a new business intelligence system to reduce the time spent on menial data gathering tasks and free up your team for more strategic concerns. Once you’ve identified the tools you’ll need to execute your business strategies, research a minimum of two to three providers for each tool. In addition to obtaining pricing for each, a thorough evaluation of features should be completed in order to determine the value provided. 2. Establish Performance Targets Develop an estimate for any revenue increases or expense savings generated by the investment being analyzed. This step can be the most challenging as it relies on assumptions regarding both tangible and non-tangible benefits. For example, a business intelligence system may not reduce staffing expense materially. Instead, it will allow your current team members to repurpose their time towards deploying marketing campaigns, directing outbound sales efforts, and shifting to a more profitable business mix. In cases where established benchmarks are unclear, it can be helpful to consider prior performance gains from similar initiatives or strategy deployments in the past. For example, if reducing the time spent on compiling and analyzing data via a new business intelligence system allows for the deployment of one additional marketing campaign and the acquisition of three new corporate accounts from your competitors, a 1-3% increase in hotel room revenues does not seem to be unreasonable. Performance targets may vary for each option analyzed. When gauging the relative impact of each, it may be helpful to refer back to the feature evaluation completed in step one. 3. Calculate Total Cost of Ownership When compiling your budget assumptions, consider all costs associated with implementation and continued support to ensure any hidden costs are accounted for. For example, often times business intelligence providers do not include any costs for property management system interface fees or additional servers needed to utilize their products. Fortunately, the industry is headed towards a more open pricing model, with new providers such as Focal Revenue Solutions including all associated costs in their price quotes. It is also crucial to include any initial setup costs in addition to the recurring costs, as they will have a material impact on the total cost of ownership. In order to provide an apples-to-apples comparison, it can be helpful calculate all costs over the duration of the project or contract. Focal’s Investment Calculator allows you to compare total cost of ownership for multi-year periods. 4. Evaluate Return on Investment In order to assess return on investment, any revenue increases established in step two should be marginalized in accordance with the hotel’s net profitability benchmarks in order to provide an indication of the additional money an owner can expect to take to the bank at the end of the year. Once the profit impact has been calculated, Return on Investment (ROI) and Net Present Value (NPV) can be used to compare alternative options. Doing so will allow you to analyze the payback threshold for the investment as well as the cash flow the hotel’s owners can expect to receive, and adjusts for the fact that one dollar spent today is worth more than one dollar received a few years from now. Focal’s Investment Calculator contains additional information regarding Total NPV and Annualized ROI, as well as the calculations for each. 5. Analyze the Impact on Asset Value Hotel asset values are often calculated as a multiple of annual net operating profits using the capitalization (cap) rate from recent comparable transactions. In order to calculate the impact of a given investment on a hotel’s asset value, divide the increase in net operating income by the average cap rate for similar property types. If you’re unsure of the appropriate cap rate to use, ask your owner. They have likely been tracking recent comparable sales and can provide you with a benchmark rate for your location and property type. You may notice that it’s possible for an investment option to have a higher ROI but lower impact on asset value than its alternatives. This may initially seem counter-intuitive. However, you’ll notice the ROI calculation highlights profitability in relation to expense without considering variability in total profit contribution from one investment to the next. For this reason, it’s important to consider both metrics when comparing the merits of competing investments. For the true nerds reading this- while we’ve recommended the cap rate methodology for calculating asset value given its simplicity, there are a number of additional ways to calculate asset value. By pitching budget initiatives in the language of your owners, you’ll find that it’s easier to align priorities and obtain investment. Business Intelligence tools are designed exclusively for analysis; to provide fast and widespread access to accurate information and insight. Through dashboards, reports and analytics. users can explore their business – both historical performance and future activity. BI automates reporting, turning report producers into information consumers who can in turn analyze and apply their findings to influence business results. Business Intelligence is about gathering data from a variety of sources and then utilizing technology to serve information to decision-makers in ways that help them to understand where opportunities exist within their business. How can business intelligence software improve profitability and efficiency? Throughout the hotel industry, we suffer from a lack of critical, timely information on the most fundamental aspects of our business. We attempt to address this deficiency through manual reporting; printing reports from operational systems, keying numbers into spreadsheets and emailing files daily. This turns some of the industry’s brightest minds into simple report producers. BI automates, accelerates and enhances reporting, turning these report producers into information consumers who can analyze and apply their findings to take advantage of business opportunities while they still exist. What are the most important features of business intelligence software? Cloud Infrastructure: Ease of access to BI across devices. No expensive, lengthy implementation or physical on-site installation. Depth of Information: Ability to not only view statistics/figures, but to dive deeper into the data and understand what’s impacting those results. Data Management: Ability to manage & clean data to maintain data & reporting quality and accuracy. Forecast & Budget Support: Forecasting/Budgeting at the most granular level allows hotels to measure their performance on an ongoing basis to achieve their goals. Enterprise Level Reporting: Allowing users to view performance of multiple hotels using unified standards makes for easier reporting at an area or portfolio level. Why KPIs can business intelligence software impact for my hotel? Occupancy %: Using advanced Pace metrics, users can see areas of opportunity or concern well in advance and take action to optimize their hotel’s occupancy. ADR: Analyzing production across market segments, booking channels and source markets, users will be able to see their most and least profitable business, and adjust accordingly. TRevPAR: By analyzing the segments with the highest total net spend and determining when & where those guests are being displaced, users can optimize their mix to generate higher revenues across departments. What is the typical pricing for business intelligence software? BI Tool pricing typically includes an initial setup fee as well as an ongoing monthly subscription cost. The monthly cost can be dependent on the number of rooms/hotels using the tool and the tool may be offered at different price points with differing levels of features & complexity. 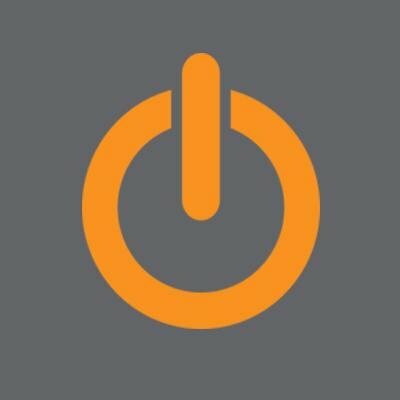 Vendors start as low as $2 and as high as $10/room per month, this range would offer the most basic BI solutions and reporting without predictive or self-service features.Hotels that are taking their first steps into BI would benefit from starting off with this kind of low cost solution. Vendors in the high end of this range would offer the full range of predictive and self-service features available, as well as additional integrations with external sources. Hotels that are familiar with BI and looking to expand their capabilities and depth of knowledge would benefit the most from this type of solution. How long does it usually take for a hotel to implement new business intelligence software? 1 to 2 weeks per hotel. No downtime required. Simple, quick setup process. Live and on-demand user training available. Depending on whether or not the hotel(s) have existing standardized hierarchies (market segments, channels, room classes) and IT resources (including other vendors) do not delay.